Home Tags Posts tagged with "Megan Mooney short story"
The fearsome Captain Longbeard stared dramatically into the roiling waves flowing around the back end of his ship’s keel. One does not generally think of graceful when imagining a sea-roughened pirate, yet the term easily applied to him. Longbeard held his figure in such a way that denoted his quiet agility; one that had either manifested from training in the deadly arts of the sword or perhaps it was that his mother enrolled him in ballet starting at the age of seven: an action that definitely didn’t lead to bullying and self-esteem issues. But the latter is obviously too specific to be true. Longbeard doesn’t even like ballet… that much. That’s a bit of a tangent though, where was I? Right, got it. Draaama. “Ye name is Longbeard…” Kyle began. “Well, ye might look rather silly without a beard.” At that, the Captain began stroking his beard with his wooden hook. “I suppose thar is some truth in that.” He thought for a moment and continued stroking his beard then held the hook up to the moonlight and gazed at it. And it is in that moment, in which Longbeard was staring at his hook of mahogany and Kyle just standing there awkwardly while his captain has a moment with an inanimate piece of wood, that it’s time to cue the tragic backstory. On a moonlit night, much like this one, Captain Goldenhook (as Longbeard was once known) stood at the stern of the ship, one leg up on the railing and his one good hand propped regally on his knee. His chest was puffed out and his hat was jauntily askew in the manner he had heard made you look was in fashion, but it’s not like he cared about that kind of thing because he had a big ship and treasure on four islands and certainly doesn’t care that his dad left him when he was young and basically has no insecurities to speak of at all. It’s possible the Captain revealed a bit too much of his past when the crew stole a few casks of whiskey. Screeeeechh! Something scraped along the underside of the hull. The vessel leaned dangerously to port. Buckets, ropes, and other equipment could be heard sliding across the deck, and a few sounds of splashing could be heard soon after, one sounded suspiciously too large to just be equipment. The Captain fell off balance and rammed into the railing, his hat tumbling off his head. At the last second, his hook, golden and really, really shiny, caught it by the brim. He placed it back atop his head. Tilted it to just the right angle, then went about yelling and stuff. Screeeech! This time the sound had come from the bow side and it lingered longer. There could be no mistaking it this time. It was the Shirley. Captain Goldenhook rushed to the deck with the rest of his crew and watched as the enormous body of an enormous creature rose out of the boiling water and blotted out the moon. The men caught in its shadow were stunned into silence. The silhouette of the creature lengthened towards the heavens and part of the silhouette split off from the rest and the shadowy stripe zipped across the sky and came smashing through the ship, cleaving it in two. The enormous mass reared back up revealing itself to be one of the Shirley’s enormous tentacles before cracking the main mast with a single swing. The scout at the top of the mast clung to it until it fell over into the cabins where the scout jumped off breaking their left leg. The men scrambled for safety as the two sides of the ship were gradually swallowed by the waves and dark depths beneath. Other tentacles flashed up and grabbed onto a few of the men as they tried to escape. Their screams were muted by the sound of the crashing waves and the timber tearing apart. Captain Goldenhook clung to the railing as he watched in despair at the state of his precious ship. The horror! He was considering the sizeable portion of the treasure it would take to make the repairs and replace the crew when he felt a tug on his coat. A tentacle had slithered over the deck and wrapped itself around him. He felt himself lifted into the air. He felt majestic and weightless like a bird. He didn’t scream. He accepted his fate. At least, that’s what he said afterwards. He found himself dangling in front a gaping black maw. The tentacle’s grip tightened on Goldenhook and then thrust him towards the terrible, sharp beak of the Shirley. The next day he awoke to the most terrifying sight of all. Not only was the majority of his crew missing, his treasure sunk, and ship drowned– but his golden hook, his namesake, was gone. The Captain sustained no actual injuries, just the hook and its attachment were lost. He quickly got over the loss of his crew, treasure, and even his ship. But damn it, if he didn’t really, really like that hook. So he grew a beard and changed his name. He sought out new crewmembers and a new vessel. Luckily, Kyle had survived so he wouldn’t have to find a first mate that suited him. He also got a new hook, but this one was simple, plain mahogany, its nondescript nature a constant reminder of his great loss and a motivator to plunder more and more. With the treasure he bought more men and a ship more magnificent and powerful than any before, until he was absolutely certain he could never be overtaken again. And that is what brought the Captain back to the scene of that fateful night, where he stood in front of a confused Kyle and stared at the ugliest piece of wood formed into a hook he could imagine. It mocked him. He squinted at it. Kyle squinted at it, too, not certain if that was what he was supposed to do or not. “Then make way for it! The monster is mine!” cried the Captain. Captain Longbeard felt his long wait come to an end as this moment came to a head. His vengeance would come. He had stored the newest and most powerful cannons below decks, explosives and all other manners of warfare were strapped down on the main deck, the men working furiously to ready them for the inevitable battle. The Captain hobbled to the bow as the waves became more choppy. They followed a melodic rhythm not unlike that of a huge beast swimming in the depths and changing the tide. He smiled. That is when he felt the ship lift up beneath him, he whipped his sword out of its sheath and prepared for the tentacles to start wrapping around the sides of the ship. Captain Longbeard walked with trepidation to the railing where he could see that the ship had not only been lifted off the sea, but now floated a good distance above it. SO far above the sea were they that the Captain could see the full massive silhouette of the Shirley below them, its tentacles thrashing at the place that the ship had just occupied. He then looked closer at the ship itself, to the hull where seawater streamed off and revealed barnacles that had been clinging to the ship below the water’s surface. Yet he spied something less expected, they looked like pale tentacles perhaps, yet they had nails on the tips of them? He could see four of these long appendages on the side he was on and then turned around to see that they were in fact attached to a … forearm? Captain Longbeard looked to the heavens and saw that the clouds swirled around a massive, tastefully hairy forearm. The hand it was attached to held the boat in its massive grip. It illuminated the night, like the moon come to rest on the terrestrial plane. They had been saved! This really annoyed the Captain. “Blimey! Stop that now, would ye? !” the Captain’s veins bulged as he shook his fist at the much larger one. “Behold, I, your God have come to– wait, what?” the voice of God shook the deck as mightily as during any great thunderstorm. “Ye are ruining my vengeance!” the Captain shouted back angrily shaking his wooden hook toward the sky. “How–How is that even possible? I mean really, how do you die just a little bit?” God, apparently, was a little sassy. God was silent for a moment. There was a slight shift in the breeze that could have been caused by massive fingers pinching the bridge of an equally massive nose annoyedly, but one can never be certain about these things. “Oh my God! God knows my name!” Kyle shouted and thrust his fists into the air then turned to get high fives from the excited crewmen around him. The crew were silent for a moment, considering this new information. “Well, that’s not ideal,” said one of the crew in the back. “And women! ?” shouted a member of the crew. “Aaaah,” everyone in the crew except for the scout, who had one magnificent eyeroll, groaned, although Kyle did so halfheartedly. “Well, well, can’t just force us into your little scheme, huh, God? If that is your real name!” cried the Captain. “NO, CAPTAIN!” all of the crew except for the scout shouted. They quickly set their faces to their meanest expressions, saved for ransacking villages and or invading ships. All except for Kyle, poor thing, he really couldn’t tell his mean face from his constipated one. “Well, that’s me own choice isn’t it!” the Captain yelled back, shaking his fist to the sky. The Hand of God gradually lowered the ship back down to the sea, the curvature of the earth gradually receding into its apparent flatness. The ship plopped the last few feet into their beloved watery depths and the crew cheered in a very pirate manner. The crew hurried back to their posts and readied the cannons, all except for one. No one noticed but the scout had meandered over to the railing closest to the Arm of God and she jumped to its safety. “Well, have fun, I guess,” muttered the Voice of God as his arm slowly receded into the cloudbank and took her along with it. The Captain turned around and saw the deck was strangely empty. The Captain did not see the tentacle slither over the deck railing behind him, but he did feel as it gripped onto him in a way he wished he had forgotten. “Perhaps, the scout was ri–” his words were cut off by his being dragged under the surface of the waves. It may go without saying, but Captain Longbeard and his crew did not get their glory or their revenge or anything else for that matter. Perhaps, they would have if they had listened to me. The Hand of God carried me off to a safe land, but I am still stuck with the same lame leg as I’ve had since the first Shirley attack. It reminds everyday to pass on this story to other women I encounter. Perhaps, one day they’ll believe me when I say they needn’t live to benefit another, when they have the power to change their lives all on their own. 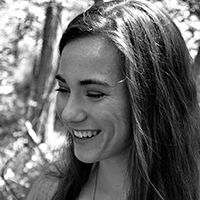 Megan Mooney is a recent alumni of Miami University where she studied Creative Writing. 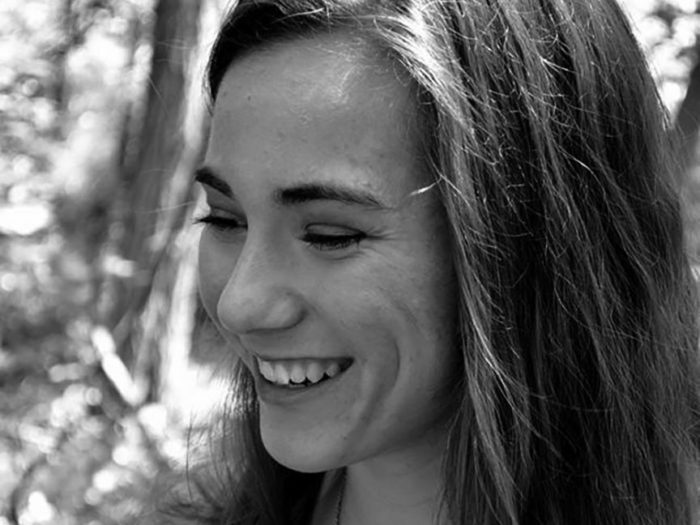 As an aspiring humorist, Megan likes to inject her comic wit into stories that seek to subvert clichéd storylines. Like many people her age, she enjoys traveling and seeking outdoor adventures. Exactly where she will end up in her career still remains a mystery to her. She currently resides in Lafayette, Indiana, with her family.